John Maxwell in his book 17 Essential Qualities of a Team Player has a great story. It is about a man, explaining to another how he keeps himself motivated and focussed. 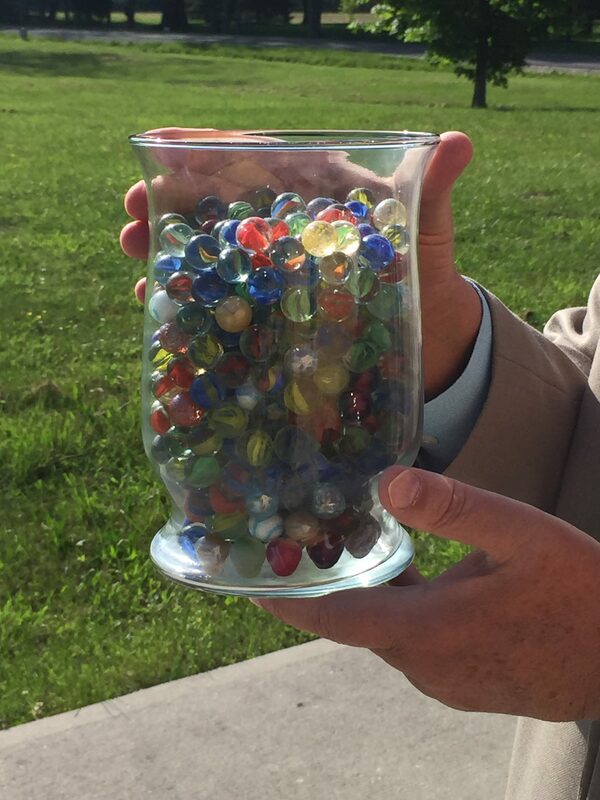 He decided to put some marbles in a jar. Each marble represents a week of his life. Every Saturday he removes a marble, this serves as a reminder of the passing of time and the need to be engaged at home as well as work, and every area of life. This story so captured my attention that I decided to number the weeks that I have left in my present vocation as well as the rest of the days of my life. No one knows how long they will live and no one has to remind me of this, I just conducted a funeral service two days ago. Yet based on four year terms, I have the next four years and I could serve for another four years, for a total of eight, I could also serve an additional four year term, but at this point not probable. I know there are many variables, health etc. The average life span for males my age is slightly over 78 years. Which means some live longer, some less. So I added the years and multiplied the weeks. I now have two jars in my office. The first jar represents the 416 weeks I may have left to serve as District Superintendent. Container number two represents on average how many weeks a male my age may live. I know some may think this is depressing, let me tell you what is truly depressing: gliding along and not seizing the moments that the Lord has given us today! Since placing the jar on my desk, I have been filled with a sense of holy urgency. Time is moving, I must invest my time wisely and for the Lord. I have learned as I have gotten older, that family and rest are a valuable way to spend some our time as well. 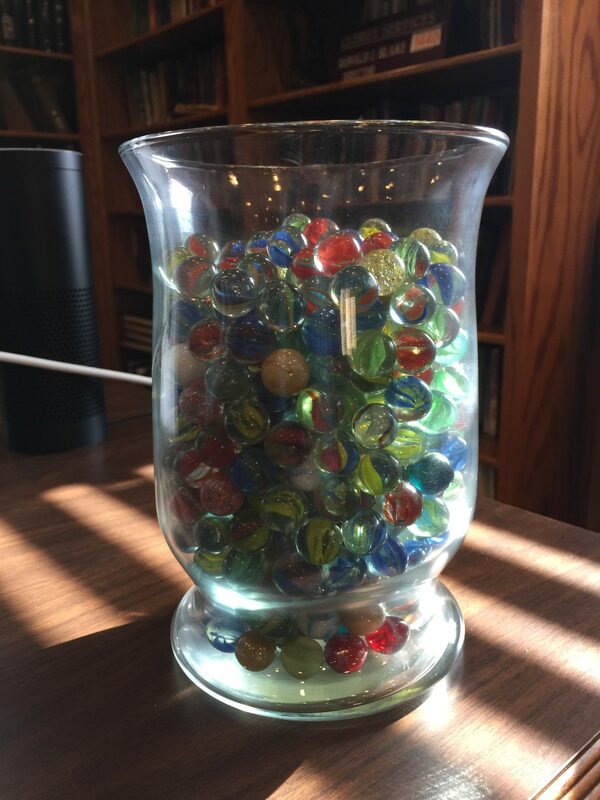 There is another jar in my office that contains marbles as well. This jar represents the ten to eleven years that I may have left to spend after I leave my present position. I do much better with visual reminders. Here is what I do with the marbles, whereas in the story that Maxwell told the guy pulled one marble out of the jar every Saturday, I pull one out every Monday. Though Sunday is the first day of the week, for my adult life Sunday has represented the culmination of my week’s work. You can spend your money, and go out and make some more. When time is spent, there is no assembly line available to build more time. It is gone! I know this sounds almost simplistic, but putting this jar of marbles on my desk has created within me a desire to remember to number my days. Do not waste this moment or this day. Instead of wasting my time I want to invest it in my family, friends and the work of the Lord. So I know if I waste time, I am not only losing time, I am losing marbles. And whatever you do, please don’t lose your marbles! The following represent how many weeks I may have if my health holds up and the people agree and I stay in my position until I retire and find something else to do. I know that something unforeseen may take place, but this jar reminds me that I do not have decades left to serve, I have 416 weeks! Please do not lose your marbles! We are to be stewards of our time as well.